On Friday, January 25, the President of the United States agreed to allow a three-week continuing resolution (CR) to go to a vote on the Senate floor to reopen fully the federal government. The CR will fund the nine federal departments until February 15. At that time, the government will again go into a shutdown, unless a resolution can be reached regarding border security. The House has agreed to a House-Senate conference committee on the Department of Homeland Security Appropriations Bill to negotiate a deal that will pass both chambers and be approved by the White House. While the federal government was still in a partial shutdown, Nonprofit Connect sent a survey to our members to gain insight into how the shutdown was affecting the nonprofit sector in our area. With the opening of the federal government, we share the information we received because unless there is a resolution reached that passes both houses of Congress, and is approved by the White House, we will be back in a shutdown on February 16. We offer this information to you as education for how a 35-day shutdown affects all of us in the nonprofit community, including the constituents we serve. On January 24, Nonprofit Connect sent out a survey to over 500 local nonprofits to gauge the impact the shutdown was having on their organizations. As of Monday, January 28, 70 respondents had completed the survey. Of those organizations, 66% indicated that they receive some form of federal funding from the government. Some examples of how area nonprofits were being directly affected by the shutdown included Kansas Legal Services LITC, who responded that, “The Low Income Taxpayer Clinic has trouble moving cases forward because the IRS is unavailable to negotiate or discuss cases. The Tax Court is cancelling trial sessions to reschedule later but nothing has happened with those cases since the shutdown started.” Not only were nonprofits experiencing stymied programmatic ability, but other respondents stated that they were concerned for operational security, as well. One nonprofit stated that, “Our contracts are not being paid and have not for nearly two months-worth of services. We used our reserves, but are a few weeks away from laying off the employees funded by federal dollars,” highlighting a more immediate situation than may not have been fully understood before. In relation to those whom local nonprofits serve and the impact the shutdown was having on their lives, one respondent stated that contract approvals for children in foster care were not being approved, leaving many children in limbo while the shutdown continued. Additionally, the same respondent mentioned that government-funded telehealth services for foster children with autism, specifically, were “suspended” during the shutdown. Moreover, another respondent stated that while the shutdown persisted, many survivors of sexual assault and domestic violence were unable to receive crime victim compensation, and lost access to various housing resources and/or family benefits. For more responses from area nonprofits, see below. If you or the constituents you serve were affected by the partial government shutdown, one action you can take is informing your national elected officials about the impact to your organization and those you serve, as well as asking Congress to find common ground to avoid another shutdown on February 15. If you wish to make your voice heard during this time of negotiation, we have included below the phone number and twitter handle for all of our local representatives. If you decide to take to social media, we ask that you please use #NonprofitVoices, so we can track our collective impact on this persistent issue. 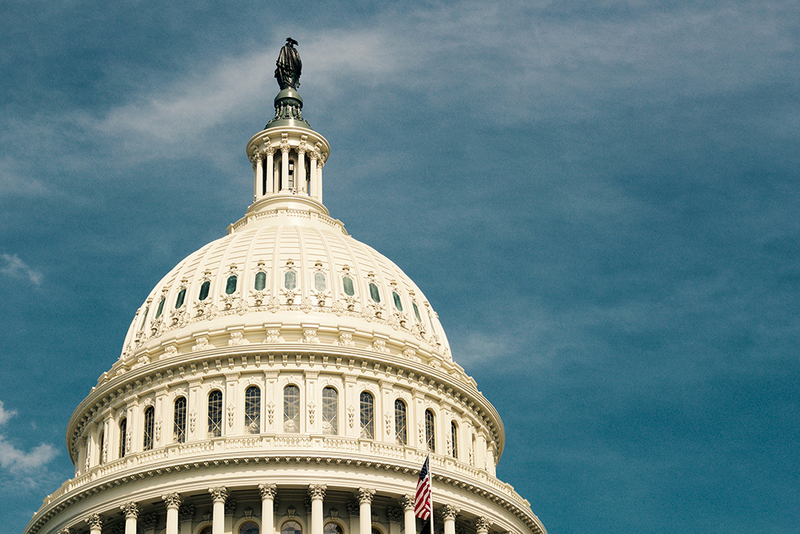 Nonprofit Connect diligently monitors government and policy issues affecting the nonprofit sector as a whole, as well as the local impact of such legislation. During this time of uncertainty, we thank those who agreed to share their stories and illuminate for all of us the ramifications this shutdown had on their organization’s ability to effectively achieve its mission. Nonprofit Connect delivers policy alerts like this one to your inbox. Sign up here to receive email Policy Alerts. Nonprofit Connect builds the capacity of the nonprofit sector in Kansas City to engage in legislative and electoral activities, as well as promotes the good works of nonprofits through public outreach. To learn more about Nonprofit Connect's advocacy efforts, click here. What impact is the federal government shutdown having on your organization? What impact is the shutdown having on your organization’s community and constituents? What steps has your organization taken (or do you plan to take) to manage these impacts?